La Abadia Tradicional is a 4* hotel located in Guanajuato, Mexico. It features 83 rooms and swimming pools. 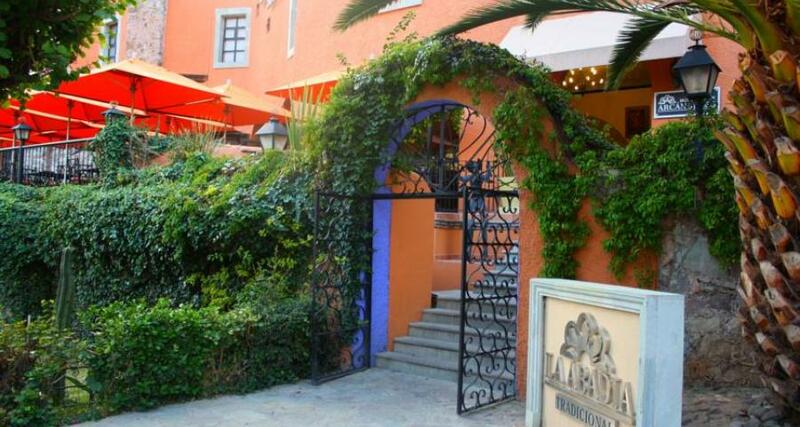 La Abadia Tradicional is a beautiful hotel located in the city of Guanajuato, close to the historic downtown area. The evangelist culture that colonized this country exerted a great influence over the architecture and design of La Abadia, providing beautiful colonial furniture and fine accents such as stone archways and ceilings made of brick and wooden beams. La Abadia Tradicional features exquisite decorative details such as talavera vases, terracotta murals and colorful paintings. Lanterns, stone walls and fountains add to the magical atmosphere of this property, which offers an excellent choice of accommodations for your next vacation in Guanajuato.